I have a few questions about logic. Can important keys be locked behind the Belfry Zone/ Rats as you don't have to join the covenant to explore the area? Or are all areas related to covenants off limits? (Undead Purgatory, Cathedral of Blue, Abyss, Both Belfries, Both Rats?) And could Pharos lockstones be required for progression, or are they not guaranteed? A step by step would be 100% great. You shouldn't need to create new character. I spesifically ensured that there should always be enough Fragrant Branches in correct locations, so that you can unpetrify Rosabeth. Maybe you just haven't found all of the Branches yet. If you get stuck, you can always look at the hint-list or the cheat-list, to find where every branch is. Oh, my... I found a small bug from the mod last week and fixed it and uploaded it. But because I was in a hurry, I didn't test the code... And of course there was one extra comma in one line in the code. Now it's fixed again, and should work. Just download it again. Sorry about that. Great mod, definitely enjoying it. Used a different table to start on NG+ from the get go for extra challenge, lots of fun replaying the game again. One note though, the Lion Warrior that drops the Fang Key will infinitely drop whatever item is assigned to him via the randomizer. In my case he keeps dropping a Titanite Slab, which feel very exploitable. I suggest you either make Fang Key not randomized or give users the option to not randomize it within the table. Not sure if there are any more enemies that have such behaviour but thought you might like to know about it (if you already don't). 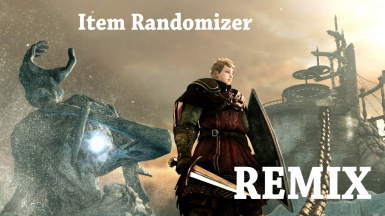 Alternatively, if are able to, instead of removing randomization altogether for that enemy, make him drop key items ONLY, that would solve both potentially high value item always dropping and having no randomization at all. I have been using the old version from Jgwman's randomizer. If i download this one can I use it on that save file or should I start a new one? Start a new one. Even with the same seed value the loot placement won't be same, so you might miss something important. I really recommend this mod for people looking for an alternative way to play Dark Souls 2. I've had much fun over the past few hours combining this mod with a "use what you see" challenge, which requires a fun strategic way to play the game. During this run I've used lots of weapons I didn't even know existed and which were surprisingly fun to play with. I didn't encounter a single problem till just now. I've encountered a softlock in my game (which isn't due to the challenge run I'm doing). I have killed Licia of Lindeldt at the start of the game so I would have to look for the Rotunda Lockstone as an extra challenge. However, the Rotunda Lockstone is in the Memory of Orro, which is located after the pursuer fight. This may not seem like much of a problem since I already have the Ashen Mist Heart, but I also need the Soldier Key to get here. 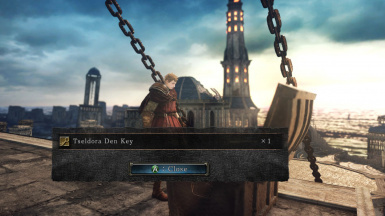 The problem is that the Soldier Key is located at the Iron Passage in the Crown of the Old Iron King DLC, which in turn needs the Rotunda Lockstone to access. This causes a loop because I need the Rotunda Lockstone to get to the Soldier Key, but to get the Soldier Key I need the Rotunda Lockstone. Luckily, I know almost all of the loot locations in the game and I had thoroughly picked every piece of loot that wasn't locked behind a key item. So I didn't spend much time revisiting old areas or opening like all of the Pharros Contraptions in the Doors of Pharros (which would be hell with the limited Pharros Lockstones I had). So as an alternative solution I simply resorted to filthy hax to get the Rotunda Lockstone in my inventory. Oh, shoot... Yep this was a bug. Memory of Orro and Memory of Jeigh didn't have the soldier key as their requirements in the code. I just uploded a fixed version. Thanks for the report and also thanks for recommendations! hey! great mod, i played this game the least out of the soulsborne series due to how long it is, well and because of personal taste, but this mod made me come back another time since it was a great experience in ds1 as well. now i can report a bug that can possibly f*** you up by random chance, and it being that if you pick up an initial covenant item before joining the covenant (champion's tablet spawned in things betwixt, i picked it up), no item will be received on joining that covenant (which i've tried with another character, it was thankfully palestone x2, received nothing with the character with the early champion's tablet). you might be aware of this, but i thought i'd throw this out here in case you aren't :) i guess i don't have to detail what could go wrong here, like if an important item was in place of the those palestones, like the estus flask or a key.. Sorry for the late answer, I haven't been in nexus in over half a year. Actually, I didn't even remember, if I had taken this problem to account. But then I read my own instructions: "Key items can not go to any place that might be lost (like wooden chests or npc gifts) or any place that is dependent of covenants or NG+." So, no worries. You will loose some item, that's just the nature of randomizing stuff, and it would be quite complex to eliminate all different weird scenarios. But key items should always be obtainable. I freed Ornifex and I'm now at her home / smithy. I have obtained a number of Boss Souls, including the Fume Knight's soul, but I cannot seem to trade most of them. It seems you still have to progress to the point where you would normally face a boss in in order for the boss soul object to "unlock". Same goes for Stone Trader Chloanne and other NPCs concerning inventory updates. Yes, I'm aware of this "feature". In order to trade, you need the soul item and apparently also a flag in your save-file, that you have killed the boss. And I don't have any knowledge how to change this. Also: sorry for the late answer (I haven't been in nexus in over half a year).